Have you ever wanted to eavesdrop on the most interesting people in the Tri-Cities, and ask how they got to where they are now? 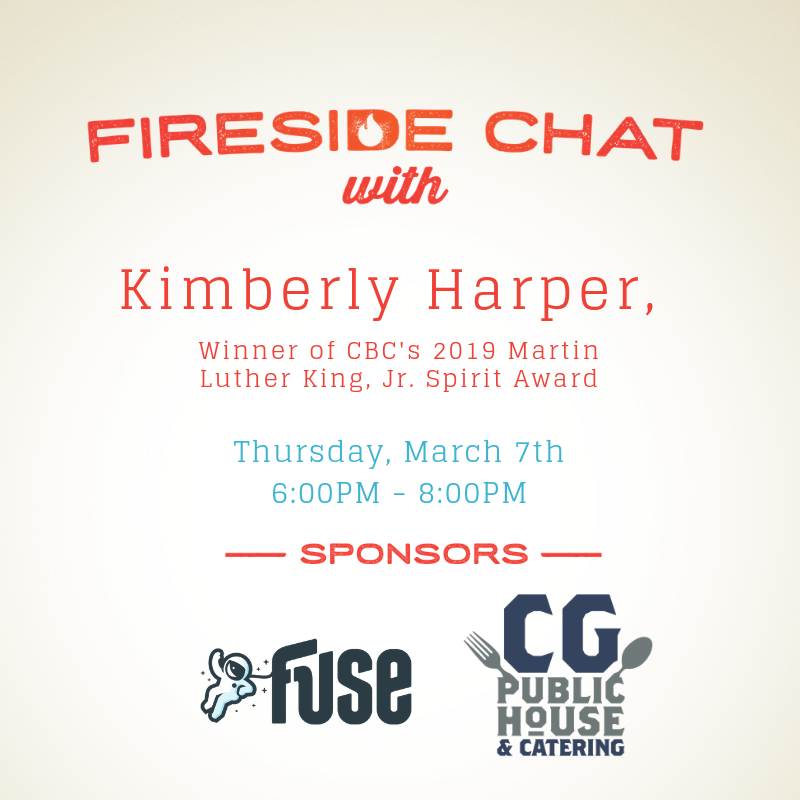 In an intimate forum hosted by the Fuse Community Development Committee, the Fireside Chat Series introduces inspirational individuals who have significantly impacted the community. The format of the series is more of a conversation between host and interviewee and will take place in front of a live audience. Next up in the series, the winner of the 2019 Columbia Basin College’s Dr. Martin Luther King, Jr. Spirit Award. Kimberly Harper, a young woman raised in Arkansas, grew up in the aftermath of the civil rights movement. Her uncles and mother joined the protests and pushed for change that would eventually let her be the first of her generation to go to integrated schools. “It just really instilled a sense of confidence that really fortified that belief that it’s not what people call you. It’s what you answer to,” she said.That inspiration pushed Harper to earn a chemistry degree and, later, to mentor dozens of teens during more than two decades in the Tri-Cities.